O God, our good and wise Father, you grouped your people into nations, bestowing on them uniformity of language and established borders. Continue to guide our country as we work to remain worthy of its noble Christian traditions. 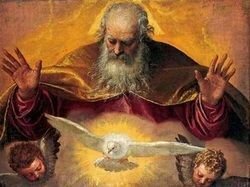 Dear Lord, grant to your children unity of purpose and fraternal solidarity of spirit in the quest of common good. Teach us to act with justice and charity in dealing with one another and with brothers and sisters of other nations. May we never be found wanting in so noble a mission, but succeed for the glory of your name and for the true greatness and happiness of all your children.